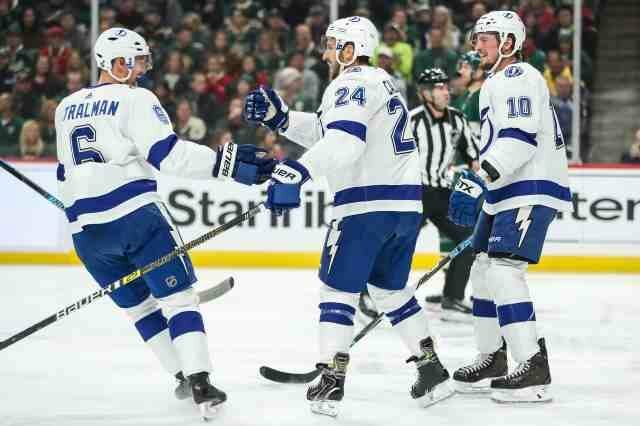 Greg Wyshynski and Chris Peters of ESPN: Looking at the keys of the Lightning’s offseason. Don’t panic: They have a large, talented core that is under 30-years old that will be returning next year and will be contending again. That said, see a therapist: Tyler Johnson admitted that they lost their confidence after blowing a 3-0 lead in Game 1. Address their blueline: Pending UFA defensemen include Anton Stralman (32), Braydon Coburn (34), Dan Girardi (34) and Jan Rutta (28). That is $13.4 million coming off the books. Could they take a run at Erik Karlsson? Joe Smith of The Athletic: Tampa Bay Lightning GM Julien BriseBois didn’t make any moves ahead of the trade deadline. Lightning assistant GM Pat Verbeek is a potential GM candidate with the Edmonton Oilers. Don’t expect any drastic changes this offseason for the Lightning. Their blue line will have a different look with pending UFAs Braydon Coburn, Dan Girardi and Anton Stralman. Forward Ryan Callahan could be a buyout or trade candidate. He has a year left at $5.8 million. Forward Tyler Johnson has a full no-trade clause. They could look to move out a forward to create a slot for a young prospect. Bobrovsky’s past playoff performances have some thinking he still needs to prove himself on that front.